We are committed to protecting the privacy and security of any personally identifiable information (PII) you provide us with. PII includes information that can be linked to a specific individual, such as name, address, phone number, or email address. “Discover Tamborine Mountain” collects details such as your full name, address, email address and/or telephone number (and Credit Card details if applicable) whenever you submit a query or suggestion, or request assistance with a booking. “Discover Tamborine Mountain” uses your PII only for the purpose of responding to and fulfilling your requests for our products and services. Information collected when you purchase is used to charge your credit card and deliver your booking confirmation electronically. We may also contact you about your stay for customer service purposes or to make any changes or cancellations to your booking. “Discover Tamborine Mountain” will use your address, email address and/or telephone number to contact you when you submit a question or suggestion. 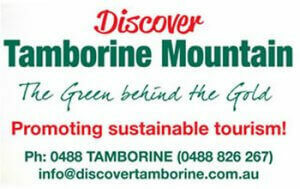 “Discover Tamborine Mountain” may be required by law to disclose information provided by you to “Discover Tamborine Mountain” for the purposes of obtaining products or services from “Discover Tamborine Mountain”. We may also disclose information against someone who poses a threat to “Discover Tamborine Mountain” interests (such as customer fraud) or whose activities could cause harm to others. If at any time you would like to alter the PII you provided to “Discover Tamborine Mountain” in your booking, please contact us. If at any time you wish to inquire about any of your PII that is stored by “Discover Tamborine Mountain” please contact us. Full Payment is due within 24 hours for bookings that are less then 28 day in advance of check in. Bookings outside 28 days will require a deposit of 50% to confirm the booking with final payment due 28 days in advance of check-in. Please proceed to our “Secure Payment” form to submit credit card details. 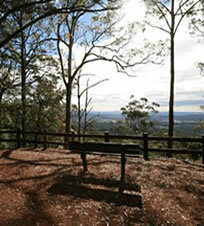 A written confirmation from “Discover Tamborine Mountain” will follow. Cancellations of confirmed bookings (where payment has been made) will attract a cancellation fee of AUD$25.00 (inc. GST). 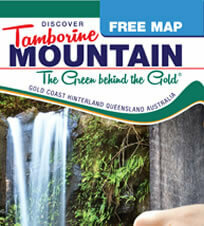 An additional administration fee of $4.00 is levied by “Discover Tamborine Mountain”. We reserve the right to offer alternative accommodation/tour of a similar standard in the case of the accommodation/tour operator overbooking their property or for any reason beyond our control.